While shortening is a typical ingredient in most biscuit recipes, you can whip up a batch of fluffy and delicious biscuits without shortening. Depending upon your needs, you can create delicious flaky biscuits, perfect for honey or jam, or cut the fat and calories for biscuits without the guilt to pair with soup. Butter is an easy alternative to shortening for biscuits. Biscuits made with butter are quite flavorful, but may not be as flaky as a biscuit made with shortening. You can use your favorite biscuit recipe, substituting equal amounts of butter for vegetable shortening. Work with cold butter and handle the dough gently for a flakier butter biscuit. Virgin coconut oil may be used in place of shortening. Like vegetable shortening, coconut oil is solid at room temperature and may be used like shortening in biscuit recipes. Coconut oil produces flaky biscuits with a slightly sweet, nutty flavor. The slight coconut flavor can be quite pleasant, especially paired with curries or tropical fruit jams or jellies. 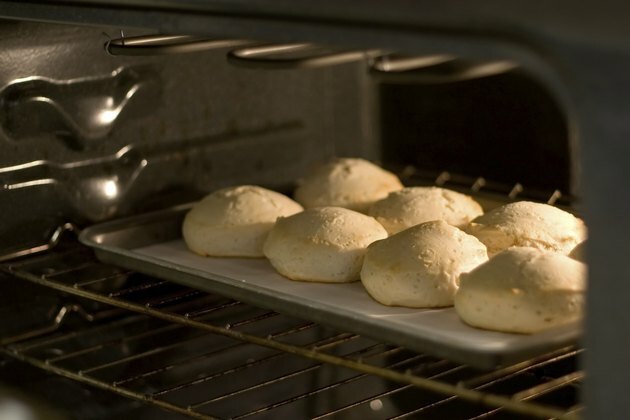 If you're willing to try something new, heavy whipping cream produces a tender and flaky biscuit. Biscuits made with cream rely upon a combination of all-purpose flour and cornstarch, along with the usual baking powder, sugar and salt. Heavy cream provides both the fat and liquid in the biscuit. Whereas butter and shortening are cut into the dough, you'll simply stir in heavy cream until the dough forms. You cannot substitute cream for shortening directly in biscuit recipes. Shortening, butter, and coconut oil are far from heart-healthy fats. You can create a healthier biscuit by replacing the usual fat with canola oil. You can substitute canola oil for the shortening in your biscuit recipe, but you'll need to add it along with the milk or buttermilk, rather than cut it into the flour mixture. The biscuits will be tender, but lack the flakiness associated with shortening.